In this paper we study the implications of the absence of Behavioral arbitrage opportunities (BAO) in a two period incomplete markets economy where default is allowed but there are collateral requirements and utility penalties due to uncertainty on deliveries. 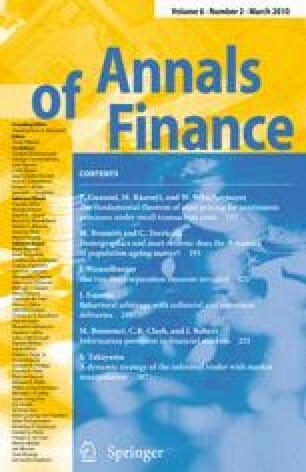 We obtain a modified version of the Fundamental Theorem of asset pricing with default when deliveries are defined in terms of units of account, as in Dubey et al. (1995), and when deliveries are defined as bundles of goods, as in Dubey et al. (2005). Also, we establish that independent of the way that we define deliveries, absence of BAO is compatible with the existence of equilibrium.